For thousands of years, sea turtles have been using the Atlantic Coastline of Central Florida each and every summer. 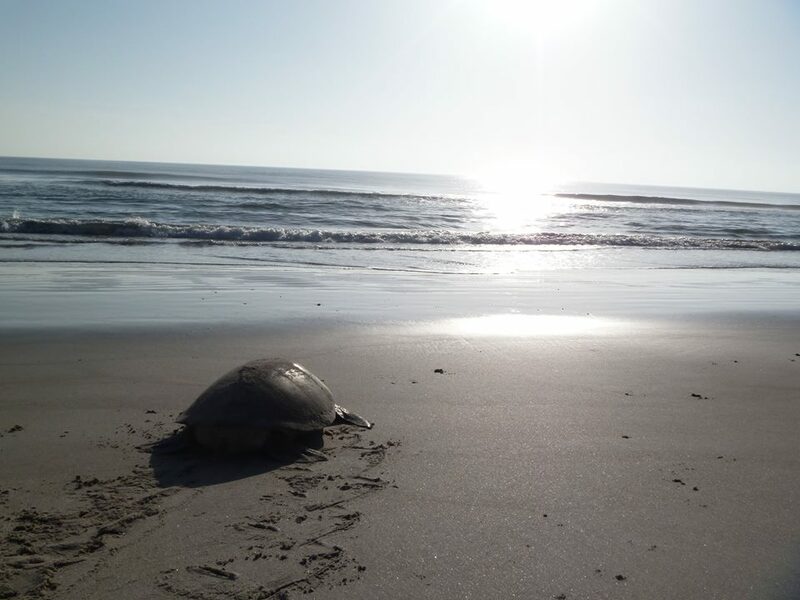 Join Refuge Rangers and volunteers to learn about some of the oldest living species on this planet and their story for survival for a free sea turtle talk and walk to find a nesting loggerhead sea turtle on Canaveral National Seashore on Tuesday, July 17 beginning at 8:00 p.m. Families are encouraged and welcome to attend but should wear long pants and long sleeves for mosquitoes. To reserve a spot for your family, call Emily DeLanzo at 321-861-0668. Questions: For Questions about this event, please contact Emily DeLanzo with U.S. Fish and Wildlife Service at 321-861-0668 or emily_delanzo@fws.gov.